Everybody’s talking about the Instant Pot. Literally everyone! Look on Pinterest, read reviews on Amazon: The Instant Pot. Is. Everywhere. Before we tried it, I heard that a soup normally ready in 6-8 hours in the slow cooker is ready in 15-30 minutes in the Instant Pot! Crazy, right? I mostly wondered how well it would it work with our freezer meals. Would it actually replace my trusty slow cooker? Would it cut my cooking time down and get dinner on the table in a fraction of the time? Our team did a little research—could a pressure cooker really be all that fantastic? Well friends, this isn’t your grandma’s pressure cooker. This is a serious, digital pressure cooker, stockpot, rice cooker, slow cooker, yogurt maker…basically it’s an all-in-one cooking tool that does the job of many different kitchen appliances. While I love that it helps clear off the counter top, I’ll admit, the Instant Pot comes with a serious learning curve. We tested several of our favorite recipes with some mixed results. Recipes need to be carefully adapted so they turn out correctly—throwing off measurements and generally making the whole cooking process more complicated (which is NOT what we want). My best advice: take it slow! Experiment with a few recipes on a weekend. Join one of the many Instant Pot Facebook groups. You may also want to pick up the Instant Pot Obsession cookbook by Janet A. Zimmerman, which is the most comprehensive Instant Pot guide I’ve found. If you love your slow cooker, this may not replace it, especially if you prefer to cook in batches on the weekends and reheat meals during the week. What the Instant Pot is great for is making quick sides (three-minute rice!) and whipping up dinners when you’re in a rush and don’t have something prepared. Our team tested and tried their favorite recipes and this is what we found worked great (and what wasn’t so great) about the Instant Pot. The Instant Pot is fully programmable, so you can simply set the timer and then do other jobs without having to keep an eye on it. Because it’s a pressure cooker, it really does work much, much faster than a traditional crockpot. Plus, you can set the Instant Pot timer so it will start and end when you want dinner ready. Pretty convenient. However, I have to be honest and say it does take a little while to get used to. The cooking times are extremely different, so if you’re an avid crockpot/slow cooker user (like me and my team! ), you may need to adjust with some trial and error. Plus, let’s face it: pressure cooking seems a bit scary. Your first time, you might feel like, “What if it explodes and blows up my kitchen? 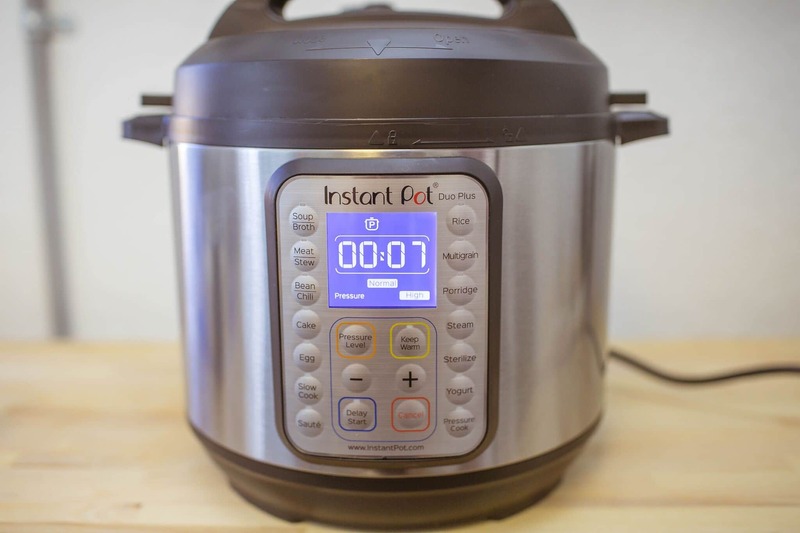 !” Fortunately, the Instant Pot is perfectly safe and no scarier than your rice cooker (which is just one of the many appliances it can replace). Follow the instructions exactly and you’ll be just fine. 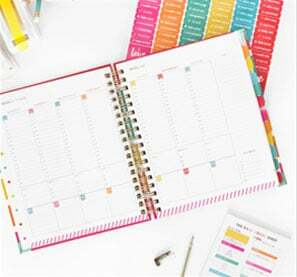 And if you get stuck, there are tons of resources online including the Instant Pot website, which features a great conversion chart. You can also find a bunch of great YouTube videos that walk you through the process: from the unboxing to making your first meal to serving up an entire dinner party. Keep in mind, once people start using the Instant Pot regularly, they usually LOVE it. (It has a cult-like following on Facebook and already a lot of dedicated websites.) It really does save tons of time. Plus, the fact that the Instant Pot does the job of so many small appliances makes it a great space saver and well worth the learning curve. So, if you get frustrated at first keep trying! It just takes some time to learn. One of the Instant Pot’s bonus features I really love is that it doesn’t give off a smell like most cooking pots do. While the smell of soup simmering in the crockpot or on the stove is lovely, the smell of soup on your clothes, in your curtains and lingering throughout the house for the next two days, well, isn’t. The Instant Pot eliminates the odor, so the neighbors don’t need to know you’re enjoying tortilla soup. Starting to cook with your Instant Pot is pretty straightforward. You close the lid, then choose the cooking program, making any adjustments required for the particular recipe you’re making. (Refer to your Getting Started Guide.) You will hear a beep when the Instant Pot starts. As pressure builds up in the pot, the lid locks (to keep it safe). Due to the heat and high pressure, food cooks at lightning speed. It’s the same reason water boils faster when you put a lid on the pot or food heats more quickly when covered—only the Instant Pot takes this concept to the extreme. Pressure cooking is liquid-based cooking, so it’s heating the moisture within your food. While not a lot of liquid is lost during the process, you’ll want to use recipes that contain at least a cup of water. When you’re ready to open the Instant Pot, you simply release the steam valve and the pressure releases. You just open the pot and serve up your delicious and fast hot food! The Instant Pot not only cooks food, but it keeps it warm (and food safe) for up to 10 hours. It’s great if you need to keep food hot for a longer time or if you want to prepare it ahead of time. The Instant Pot works best for foods you would normally cook in your slow cooker. You won’t get a crispy crust in the Instant Pot, but for soups, stews, beans and meat, the Instant Pot works great! It also works well for hard or root vegetables like potatoes, squash and beets. Because the Instant Pot does the job of so many appliances, one of the best features is its versatility. The Instant Pot steams food, can be used for canning, works great for boiling, and even has a sauté function (which a traditional pressure cooker or crockpot can’t do). It’s energy efficient and safe to leave on unattended. I mentioned the lack of odor as well, which is amazing, especially if you’re cooking a more odiferous food. The Instant Pot allows you to cook with whole foods—rather than opting for pre-packaged convenience foods full of sodium and preservatives, so you can make healthy foods with fewer ingredients. For me, the biggest selling point is the way it speeds up cooking times (ridiculously fast) and reduces kitchen clutter. If you own a rice cooker, a slow cooker, a steamer, a yogurt maker and a canning pot, you can get rid of ALL of them and opt for a single appliance. The digital timing and display is really nice and quite accurate. Dinner comes out quickly. You can cook on your schedule, rather than rushing home to put something in or take something out of the crockpot! We all love jumping in and getting started, especially when we buy a new cooking “toy,” but definitely (definitely!) read up on the instructions and details before you embark on your Instant Pot cooking. It’s a little different and requires getting used to. You’ll experience more success if you do your homework beforehand. Pressure cooking is all about steam, so your food needs plenty of moisture to heat up. The Instant Pot works well for soups and sauces. While not much moisture will be lost during cooking, it’s not a dry heat. You won’t get a crust or crispiness from the Instant Pot. Big foods like a roast or a large potato will cook slower than foods cut into smaller pieces. The steam and pressure must reach the inside of each piece of food, so if you want to speed up your cooking time, cut food into smaller pieces. Be sure to read through recipes before getting started. Some recipes will call for extra supplies—i.e. 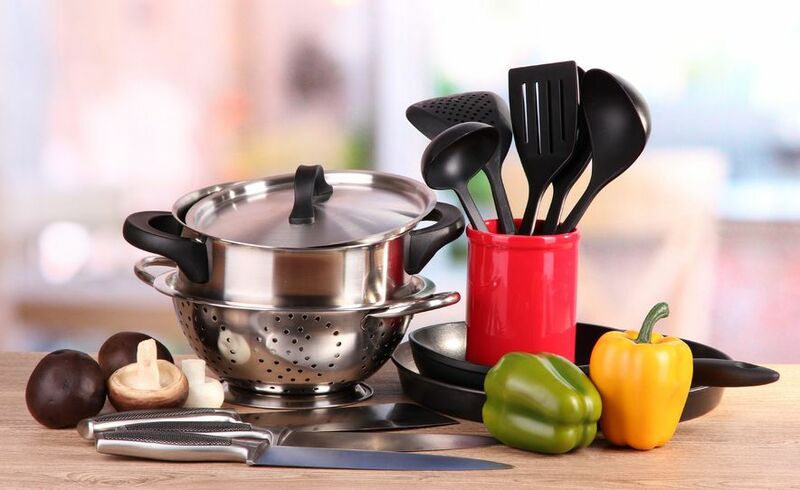 a spring-form pan, different sealant rings (for use with different foods) or a steamer insert, which you’ll need to purchase separately. Set the Pot to “sealing” rather than “venting,” if you’re cooking food. Keep in mind, heat and liquid can cause some foods to swell and expand (like beans). Only fill your Instant Pot up to the fill line and leave plenty of room to accommodate for expanding rice, beans, quinoa, and other legumes and grains. For slow cooker recipes, you’ll want to keep the liquid to 1-2 cups (no less than 1). One of the only areas of the Instant Pot to take on odor are the inner seal rings. You can use different sealing rings for savory foods (like curry, garlic or spiced foods) and for sweet or mild foods (like fruits, desserts and oatmeal). This will prevent the rings from taking on or transferring food scents. The Instant Pot really shines if you need to prepare a lot of one thing—like a few dozen boiled eggs or chicken breasts. Cook meat like chicken ahead by adding broth or water and a few herbs. You can then shred the meat to use in tacos, casseroles or as you would use rotisserie chicken or pulled pork. 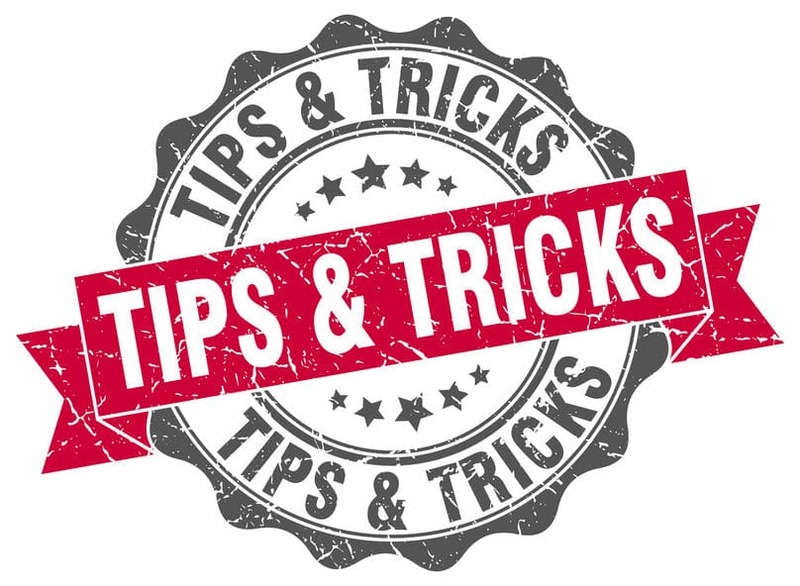 You can add quicker cooking foods later (you just need to depressurize your Instant Pot before opening it). Use the steamer insert or a heat-safe ceramic, metal or glass bowl. You can also add food wrapped in foil. If you open the Instant Pot to add an ingredient, it will reheat much faster. You can also use the steaming insert for eggs. The Instant Pot works great for making yogurt (see our recipe link below) but it doesn’t always do as well with creamy sauces and cheese. While pasta cooks fast, making it great for pasta recipes, milk can scald and cheese gets gloppy and watery. The rapid heat can also cause milk to curdle in some cases. When making a creamy recipe, add dairy such as milk, cream and soft cheese after the pressure cooking process (stir in at the end, using the sauté function) for better results. Because there isn’t much liquid lost during the cooking process, you may need to add a slurry (cornstarch whisked with water) or another thickener to sauces after the meal is finished cooking. Don’t add thickener like cornstarch or flour into the Instant Pot, as it’s too difficult to control the thickening process and can interfere with the steam. Another option is to remove a portion of the liquid after cooking and set the Instant Pot to sauté. I’ve found this works well with “meat and sauce” based dishes. Delay your cooking start time using the timing feature to get dishes ready when YOU want them. You can use the delay timing feature to start the Instant Pot at any time or to keep food warm after cooking. Because the Instant Pot is so fast, you don’t have to wait for meals to defrost or plan so far in advance. Most meals (even roasts) are ready in less than an hour. Some are ready in 10 minutes or less! One slightly tricky feature to keep in mind is the Instant Pot seals as soon as pressure begins. So, if you forget an ingredient or need to add ingredients in stages, give it time to depressurize and let off the steam. This can be a problem if you suddenly realize you forgot to add onions to the soup or spices to your tomato sauce. Plan by prepping all the ingredients before you start cooking. If the outer part of your Instant Pot gets a little funky, you can clean it all naturally with vinegar or steam clean it by boiling water and lemon inside. If you have harder water, the vinegar will also break down any mineral deposits that build up and harm your pot. You can wash most of the inner pot and accessories in the dishwasher. The inner pot, steam rack and accessories can all be washed in the dishwasher, which makes clean up a breeze! You can just toss the pieces in your dishwasher and go! The lid needs to be hand washed (which isn’t too difficult and the outer container can be wiped down by hand after use). Cleaning your Instant Pot after each use will keep it looking great and lasting a very long time. 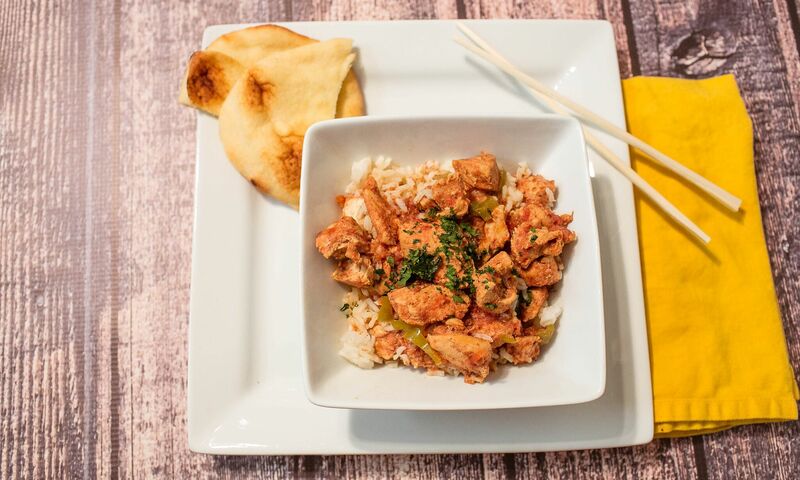 We adapted a few of our favorite recipes with modifications for the Instant Pot. If you’re ready to experiment with the Instant Pot, these will get you started! Once you get the hang of it, it becomes a lot easier to adapt recipes, particularly from slow cooker to Instant Pot. If your recipe is already liquid-based, then the cooking process is similar, just faster. Simply adjust your cooking times accordingly (check the conversion chart on the Instant Pot site) and you’re off! Food turns out just as delicious and flavorful, but in a fraction of the time. The Instant Pot works perfectly with freezer meals too—add an extra 10-15 minutes for frozen meat. Most chicken recipes can be done in less than 30 minutes. Soups and stews are ready in about 20 minutes, but taste like you cooked all day. Seriously, the Instant Pot will take your freezer meal game to the next level. So if you’re ready to work through some trial and error and experiment in your kitchen, check out the Instant Pot. One thing we keep hearing from Instant Pot users? 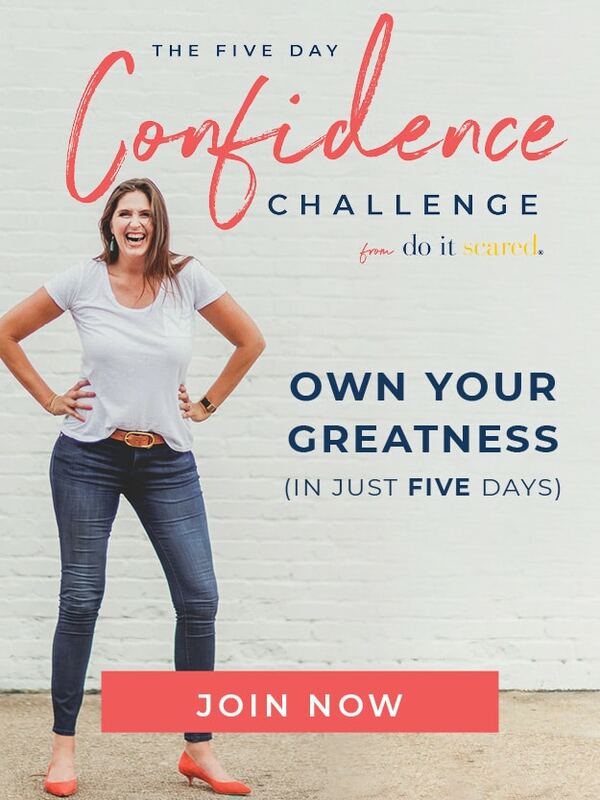 “I was afraid to try it at first, but I’m SO glad I did!” Give it a shot. You’ll be happy with the results! My husband and I got an Instant Pot for our anniversary this summer, and we love it! I haven’t made anything too adventurous in it (like cheesecake or bread) but we use it regularly to cook large batches of beans and steel cut oats. It definitely does have a learning curve, but taking it slow and adapting one recipe at a time makes it easier. I was certain I read that these units were NOT rated as safe for canning…has that changed? No, they clearly state in the manual it is unsafe and not to be used for canning. I noticed that too, that is an error in the article. I don’t think think they are rated for canning either, however they are probably safe, but I wouldn’t chance it. There isn’t much room inside for canning jars, you could fit maybe three quarts? It would be useful to prepare spaghetti sauce or other things to can. I would love to have a big electric canner to take the place of my gigantic Mirro canner which heats up the house like nobody’s business, but this is not it. I own an instant pot. It is very useful for the summer to keep the heat out of the house. I generally prefer standard cooking in the colder months. I bought my Instant Pot last year and have used it a lot for rice, soup, and beans. Yesterday I made yogurt for the 2nd time in it. I don’t normally keep milk in the house – I use almond milk – so making yogurt requires some planning. I do need to buy a new food thermometer as mind seems to be on its last breaths, so that might delay the next batch of yogurt too. Finally broke down this year and bought an instant pot after listening to all of my coworkers rave about how easy meal time was with this fabulous little appliance. After doing a few meals at home and getting used to it, I knew this was something I would use for our camping trip‘s! Friday dinners on camping trips were always a challenge. We would rush home from work, hook up to the trailer and head out. Then as hubby would get the trailer set up I would scramble to get dinner started. Now, I just grab one of my premade freezer meals, pop it in the freezer of the trailer and when we get to the campground I plug in the instant pot, drop in the freezer meal and by the time hubby and I get the trailer all set up dinner is ready! I love love love my instant pot !!! I hope one day you guys will make an instant pot recipe book! That would be fantastic! I bought instapots for all my married children last year. Everyone loves it! Great for beans, soups and stews, and meat (chicken breasts, roast, etc.). Things cook up fast and tender. Our family used to use a traditional pressure pot on the stove, but instapots are amazing in that you don’t have to check them for heat and steam, constantly adjusting the heat. With Intapot, just set the time and go! Love this tool! On some other blogs, I read that these units were NOT rated as safe for canning… is it true or has that changed? 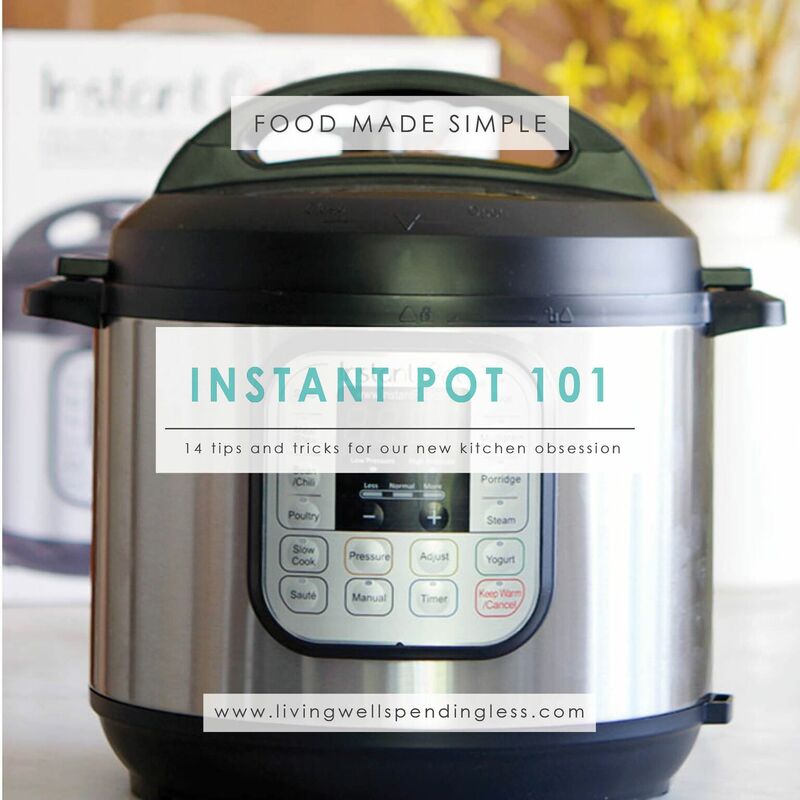 This is a great primer for the instapot. I got one for Christmas and I’ve been hesitant to use. It after reading this, I think I’m brave enough to give it try! Yes it definitely has a learning curve! I was super scared to use it the first time, but did. I put in frozen chicken breasts for 25 minutes and ended up with shredded chicken! I was great. I used the shredded chicken to then make chicken enchiladas! Delicious! Thank you for sharing, this is what I’m looking for. Instant pot is very helpful for me in serving instant food. I like using baking soda and vinegar together to get the grunge off the inner pot. It works really well! Thank you for all of the great tips!